…Sometimes the prediction comes in a flash of intuition. A formal analysis-synthesis exercise is done later only to confirm the intuitive prediction. Patanjali’s Yoga Sutras  tell us that there exists a Jyotishmati Nadi (or a predictive intuitive channel) within us, which when activated one can see past, present and future. Here one needs no horoscope or knowledge of astrology. 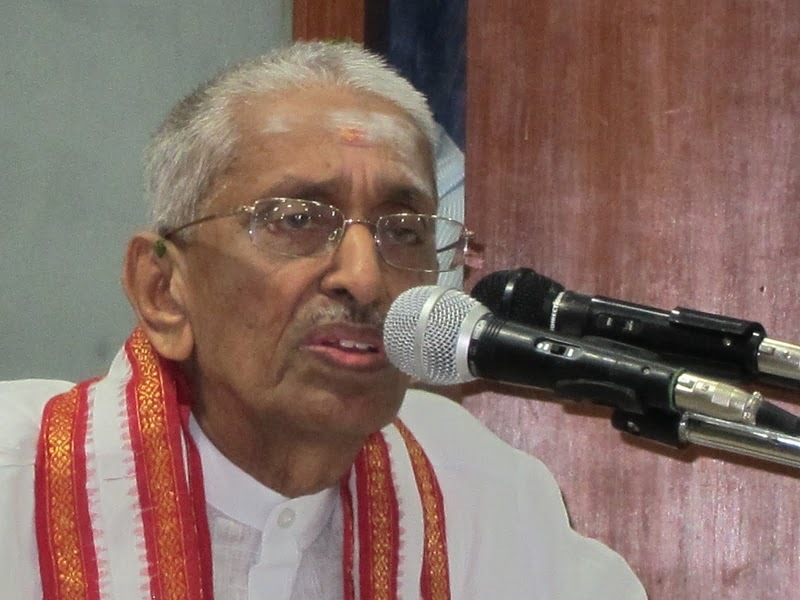 I know of a person – Sivananda Murty in Hyderabad. He did a lot of astrology in his youth. At present, he can tell you something about your future without a horoscope. Among the persons known to me, he is the only one alive with a fully activated Nadi (or channel) of this type. 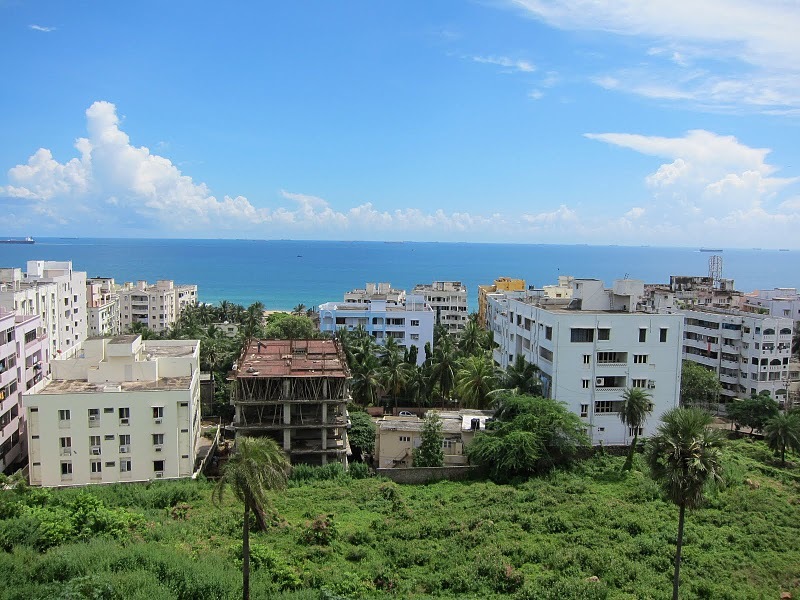 In spring 2010 Jim Kelleher called to invite me to lecture at the World Conference on Mundane Astrology, to be held Oct. 1-4, 2010 at Andhra University in Vishakhapatnam, India. 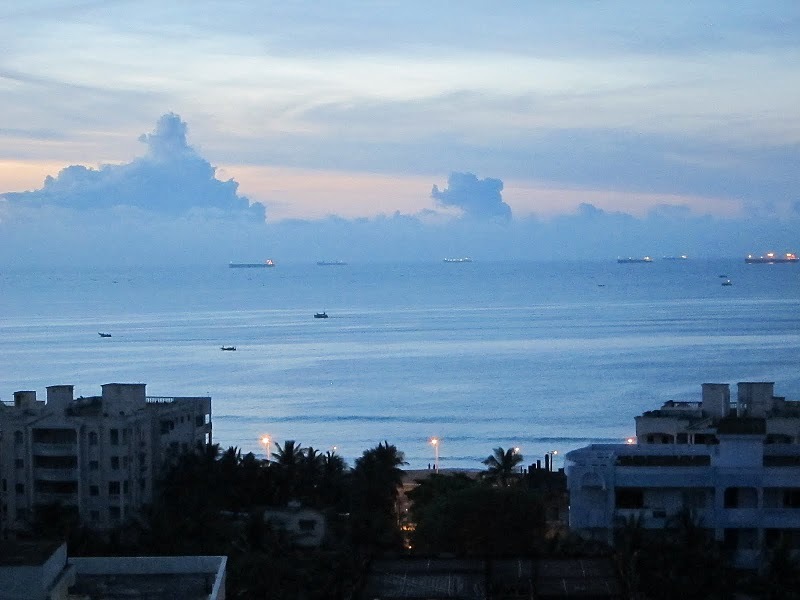 Situated on the Bay of Bengal, it is the largest city in the state of Andhra Pradesh. I had heard about Sivananda Murty and was pleased and impressed that he was the chief sponsor of this conference, along with his organization – the Sanathana Dharma Charitable Trust. If I was impressed then, the actual experience far exceeded my expectations. The atmosphere of this event was elevated considerably by the constant physical and spiritual presence of Sivananda Murty, who treated all of us with great hospitality and as honored guests. Among the speakers and guests were astrologers, scientists, philosophers, engineers, doctors, university professors, and many more. Held on a university campus, the high level of academic and cultural rigor was always apparent, alongside the inimitable oversight of Satguru Sivananda Murty. 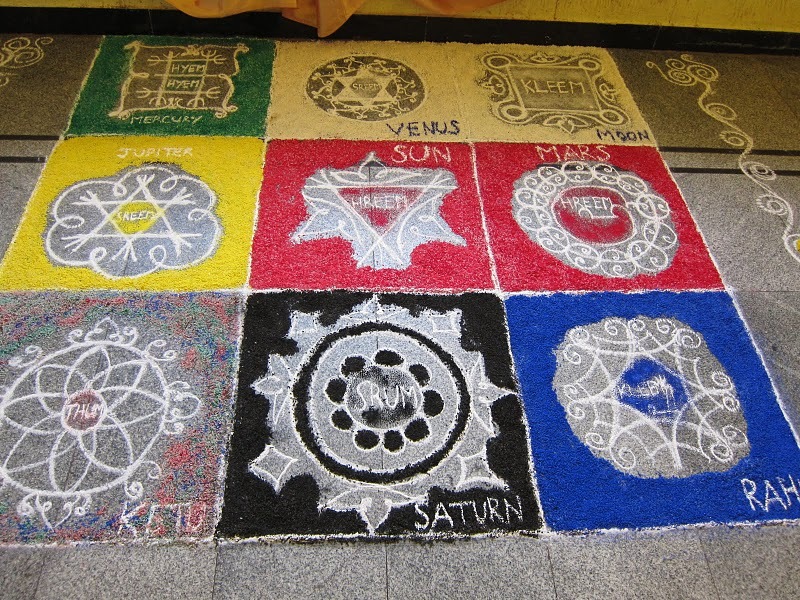 I was also happy that the Satguru was so focused on the importance of Mundane astrology, i.e. how the planets, their patterns and cycles affect not just individuals but larger entities, such as nation-states and corporations, along with socio-political, cultural and economic cycles. 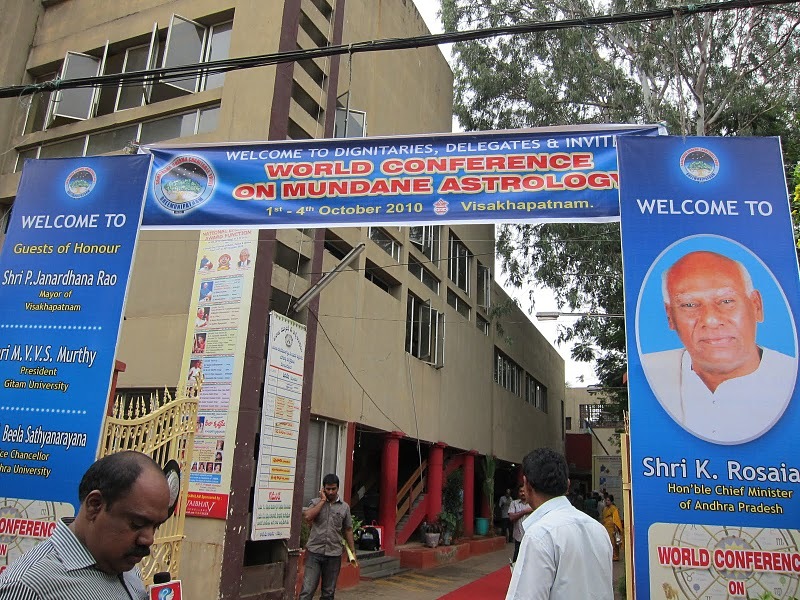 This aspect of astrology had always fascinated me, and I was amazed that there was a spiritual master in India who placed such weight on these matters, and enough so to sponsor a conference. The conference speakers came from all across India, as well as the U.S. and Europe (UK and Germany). Every speaker was requested to send an article in advance of his or her lecture. These were published in Oct. 2010 in the first edition of The World Tomorrow: What They Say… My article appears in the conference book, pp. 30-58, and is also available at my website (https://edithhathaway.com): “Corporate Conglomerates vs. Nation-States: Which Nations Will Survive and Thrive?” A major focus of the article is the pivotal Jupiter-Saturn conjunction of Feb. 1961, the first to occur in an earth sign after the Fire to Earth Mutation period, 1901-1961. All of the conference speakers were treated with great respect, and all speakers were graciously presented with numerous beautiful mementos of the conference. Three of these items remain on my altar over five and half years later. But of course most important was the darshan (blessing) we received from the Satguru, not only at the conference, but post-conference – when many of us boarded a bus and travelled the hour or more north along the coast from Vishakhapatnam, the conference locale, to the Satguru’s ashram at Bheemunipatnam. Some of us arranged to stay at the ashram another few days after the larger group left. This was an exceptional opportunity to spend even more time in the atmosphere of the Satguru, to receive darshan again at least once a day, and have private sessions with him. My sessions occurred on each of the two full days I was at the ashram. The Satguru’s fluency in English made one-on-one exchanges with him a real privilege. I asked him questions that were on my mind, especially about the book I had written and was about to publish, In Search of Destiny. I had intended to publish the book in early 2011, and when I asked him how soon it would be published, he said emphatically: “Soon!…. soon!” But he gave no specific dates or approximate time frames, just the assurance that this would happen “soon” in the realm of time and space. About other matters, he was more definitive. For instance, after a few questions asking me where certain planets were placed in my birth chart, he seemed fully aware of exactly which Vimshottari Dashas (planetary periods) were upcoming, and how they impacted my chart. Also, regarding the book, he said, and these were his exact words: “At the 11th hour you may get some new ideas, inspiration. That [new] chapter will be brilliant.” Though this was positive news, I had some resistance to it, as I thought the book was finished and ready for final editing and proofing prior to publication. But the Satguru lives and works in realms beyond our human comprehension. He was correct, as it turned out. Several months later, upon my return home to southern California, I was proofing the Preface to my book, putting the finishing touches on it, or so I thought. But it kept feeling unfinished, like something was missing from the contents, though I couldn’t quite identify what. When I spoke about it to my book editor in Canada (Kay Meierbachtol), she suggested that I include more about the larger historical cycles that at this point were mainly included in the biographical sections, and more about the Jupiter- Saturn cycles. So I relaxed into it, and after a total of five to six weeks of research and writing I had a new chapter (56 pp. ), and titled it “Historical Context and Collective Destiny.” It became Chapter 1 of the book, covering over 1000 years of history, from 1405 A.D. to 2398 A.D., using Jupiter-Saturn cycles, both larger (several hundred years) and smaller (20 years). The larger cycles occur as the conjunctions remain predominantly in one of the four elements: fire, earth, air, water. The mutation periods from one element to another can last from 60 to 139 years. When the JU-SA conjunctions occur three times in one sign, it is relatively rare and can bring accelerated intensity. This happened twice in the 20th century: in 1940-41, with triple conjunctions in Aries; and in 1980-81, with triple conjunctions in Virgo. It became clear to me that the 1940-41 conjunctions in FIRE (Aries) marked the start of the Atomic Age, while the 1980-81 conjunctions in EARTH (Virgo) marked the start of the Information Age. It brought us laptop computers, cell phones, and the Internet. Mercury, the planet of communications rules Virgo. The technological advances in both weaponry and information access were dizzying in both their speed and scope, creating a vastly different world and a new global nervous system, almost visceral in its immediacy. Mercury rules over that as well. The inspiration for this chapter was Satguru Sivananda Murty, who conveyed not only his passion for Mundane astrology but his full confidence in me and his belief (knowledge) in what I would soon write and publish. It took another year to fully incorporate the new material into the whole book, published April 15, 2012. Its full title from 2010 and earlier: In Search of Destiny: Biography, History & Culture As Told Through Vedic Astrology. The Satguru went on: “Major events of the globe can be diagnosed, can be studied from these combinations. Between two successive Jupiter-Saturn conjunctions many things would happen. It depends on which star, which sign these two [planets] inhabit…. Conjunctions on the sign will trigger certain bad results or good results for a particular country. The conjunction itself is the beginning of the story [for the next 20 years]…. The Jupiter-Saturn combination rules the world for 20 years. The Jupiter-Saturn combination [i.e. conjunction] in Sagittarius in 1901 … ruled the world and influenced world affairs until the next combination in 1921 [and so on]. You have to find where it occurred [for each country]. The rashi [birth] chart is important.” The Satguru may be referring here to of a kind of birth chart that occurs when the JU-SA conjunction chart is set for the capitol of a given country. Coming from the Satguru, this was further confirmation of my focus, as I had been exploring the JU-SA cycles and conjunctions in numerous articles and lectures, including in my talk in India Oct. 2010 and throughout my book In Search of Destiny, notably in Chapter 1 of this book, as predicted by the Satguru. This focus continues as I look at the 2016 U.S. Presidential Election and various events around the world. And as I work now on Volume two of In Search of Destiny, and put together these remembrances on the one year anniversary of his passing, I am reminded how fortunate I was to be in the presence of Satguru Sivananda Murty and to receive his inspiration and guidance for a short/long time. Edith Hathaway is an international consultant in practice since 1980, author, teacher, and lecturer of Vedic astrology and among the few contemporary astrologers trained and certified in systems of both East and West. 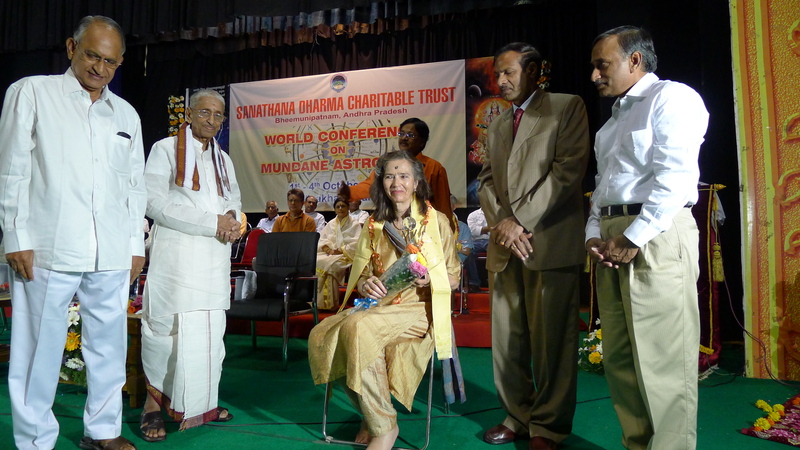 She was a Founding member of the American Council of Vedic Astrology and since 1992 has served as a faculty and board member of both the American Council and American College of Vedic Astrology. She has received numerous certificates and awards from leading astrological organizations, including the Jyotish Brihaspati, the highest award given by the Council of Vedic Astrology (CVA). Many of her articles and lectures are available at her website www.edithhathaway.com, along with testimonials and reviews of her most recent book, In Search of Destiny: Biography, History & Culture As Told Through Vedic Astrology, 2012. It is available in both paperback and Kindle e‐book versions at Amazon USA, Amazon Europe and elsewhere. See her website store for her lectures on video or mp3s along with accompanying PDF files.